Hey, happy Black Friday everybody! 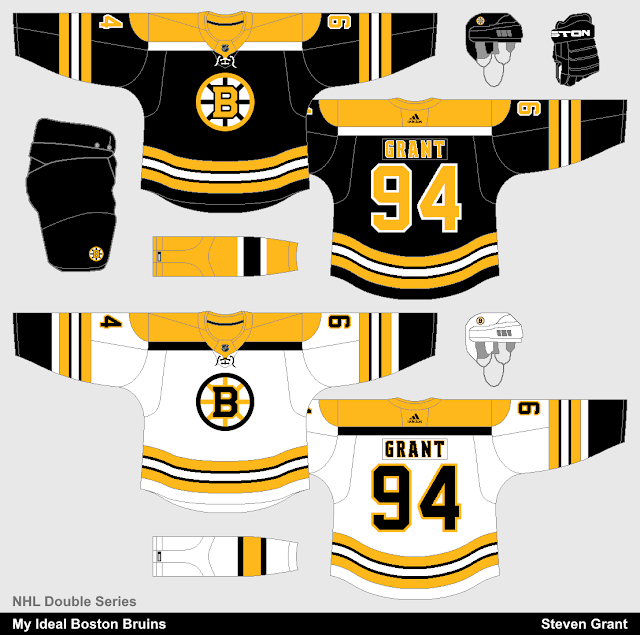 My favourite Bruins jerseys are their 1967-74 set, which this concept is mostly based off of. I did make a few small changes though, including adding serifs to the logo, and using their current name and number font. 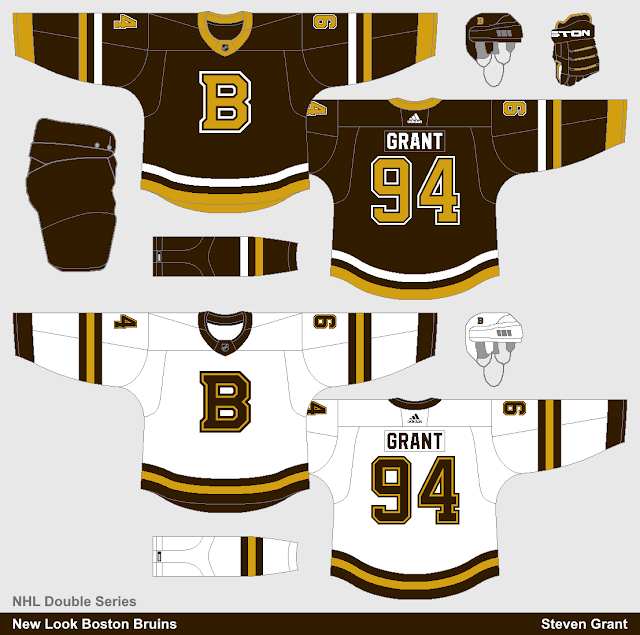 I then wanted to try a concept using brown and gold (not yellow), so I made this. For the primary logo I used their B on its own, and I kept the striping pattern fairly simple.